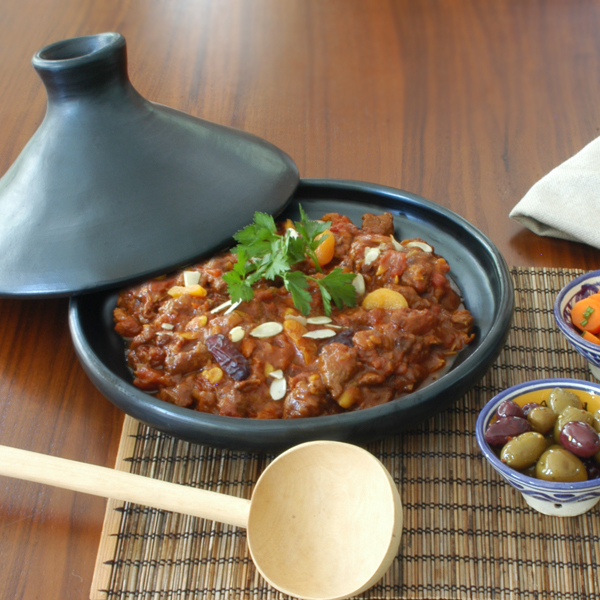 Originally from North Africa, a Tagine is the name of a dish as well as the conical pot in which it is cooked. 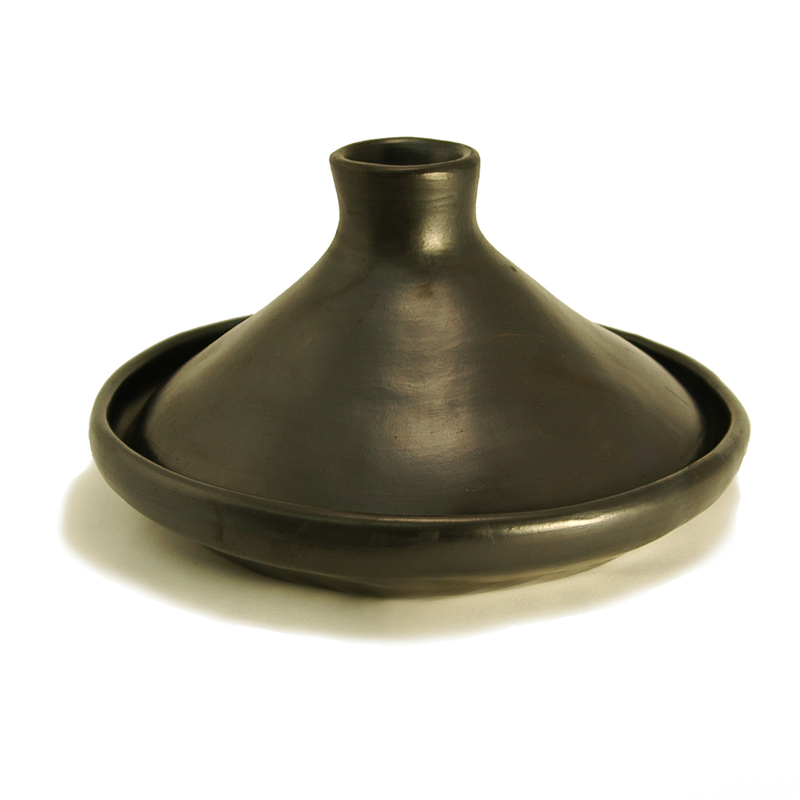 Our version of the pot comes from La Chamba and it is a beautiful Black Clay Version. Length 10.75 in x Width 10.75 in, Height 7 in (to the top of the cone), Diameter 9.75 in, Capacity 1 qt. The Tagine can be used on a stovetop, both gas or electric, an open fire as traditionally used, and it can be placed in the oven. Completely natural and safe, contains no toxins or lead and the porous nature of the clay allows the slow evaporation of steam and produce food that is healthier, tastier, and moist using less fat and liquids. Will last many years with proper use and care (each piece comes with a product information sheet outlining the Uses and Care for the product). It is still made in the traditional black clay manner, by families in a small village on the banks of the Magdalena River in Central Colombia. Each piece is hand-made using local area clays, then hand burnished with a stone. The pieces are then fired in the village, giving them the distinctive black color and elegant look.